well, that was ugly, got any better ways? I hadn’t gotten that far. 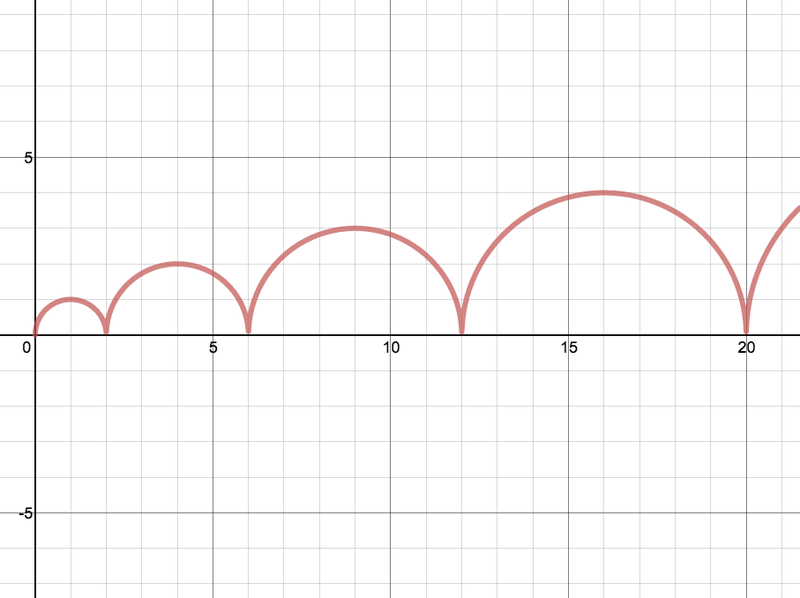 I was thinking of it as a series of upper half circles, and drew the first two as separate functions. Your g(x) is perfect. If there is a prettier way to get f(x) to produce the right numbers, I can’t imagine it. Nice! I’m now very curious whether Justin did it a different way. I think David’s f(x) is a little nicer than mine. There’s trade-off/parity between his and mine in terms of complexity. I’m curious about how he put it together. I hope my comment satisfies your curiosity, Sue! Glad you enjoyed tinkering with this.